I am a lazy girl. It may be because I have 3 kids, a husband, full-time job and way too many animals — or I might just be a lazy girl at heart. That’s why I love cleansing wipes! They are so easy, especially at night when I am tired. The wipes below aren’t only good for removing makeup, some refresh your body after working out or over-heating. And they are fairly inexpensive, too! 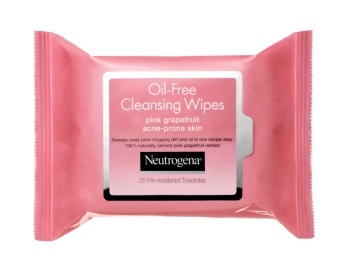 The NEUTROGENA® Oil-Free Acne Wash Pink Grapefruit Cleansing Wipes ($7.49 USD) — This line delivers a refreshing blast of 100% naturally derived grapefruit extract and vitamin C to help prevent blackheads and breakouts. Available in five formulas, the Pink Grapefruit line offers pre-moistened Cleansing Wipes, Facial Cleanser, Foaming Scrub, Cream Cleanser and Body Wash.
What I think: I have been testing the wipes, and even though I don’t have oily skin, I have really been enjoying them. The scent is fresh and fruity, very nice. I have been using the wipes at night and they remove all of my makeup and don’t irritate my skin. so win win! güd® By Burt’s Bees Natural Cleansing Wipes — ($2.99 for 10 wipes) — These new soft, natural towelettes can be used to remove dirt and sweat from head to toe, leaving behind an invigorating cooling sensation, instant deodorizing effect, and intoxicating scent so you feel fresh and clean. Formulated with güd-for-you natural botanicals and extracts, these gentle wipes not only take away the day, but also leave skin smelling amazing with fun, uplifting scents like Orange Petalooza, Pearanormal Activity, and beloved Red Ruby Groovy. What I think: These are so handy to carry around! They remove makeup at night, but they are also a great mid-day refresher or use them after a walk or a workout. They smell fantastic, too! BanTotal Refresh Cooling Body Cloths ($3.29 USD) –feature unique PowderSilk technology, imported exclusively from Japan, that instantly cools hot skin on contact and leaves you feeling revitalized. These convenient wipes leave behind a translucent, superfine powder that keeps skin smooth and comfortable, especially after taking off a hot, itchy scarf. And with three light revitalizing scents—Enliven, Invigorate, and Restore—you can replace any lingering wet wool outerwear smell with delicate, reviving fragrance in a flash. What I think: This is a really cool (ha!) idea! They are perfect for a refresher after all the winter layers and I know they will help my skin stay cool and dry in the summer! And they smell really mild and fresh. Have you tried any of these new wipes? What do you think? Last Spring was a great time for me, because I discovered clinical strength deodorant. I had always used regular deodorant, which would help at first, but over the course of the day it stopped working for me. Clinical deodorant keeps me dry ALL DAY which is huge for me. Yes everyone — I sweat. A lot. The main ingredient in these antiperspirants is Aluminum Zirconium Tetrachlorohydrex at a level of 20%, which used to be only available in prescription form. 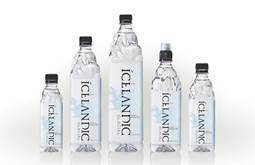 How does this keep us dry? Well, aluminium and zirconium ions form a gel that clogs large numbers of pores in the skin which prevents the pores from releasing sweat, plus it absorbs the sweat that didn’t get clogged. 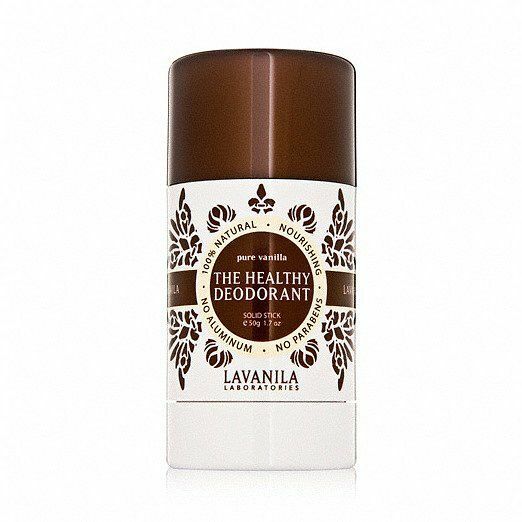 I have tried other clinical strength deodorants that are solids, and they have worked well. But I really love that Ban Clinical Strength (approx. $7.99 USD) is a roll on. It is smooth going on and dries very quickly. Besides drying quickly, Ban also claims that it targets odor 4 ways for prescription strength odor protection, contains the highest antiperspirant strength possible without a prescription, and it contains a smooth, non-irritating alcohol-free formula.